"A variation of plain no-knead bread using sourdough starter which gives the bread a slight sourdough flavor, that is subtle and yummy." Dissolve yeast in 1/4 cup beer in a small bowl. Let stand until bubbly, about 5 minutes. Mix in remaining beer. Mix yeast mixture, 2 cups all-purpose flour, bread flour, sourdough starter, and salt in a large plastic container with a lid with a wooden spoon until well combined. Cover and let rise in a warm, draft-free place until doubled in volume, 2 to 4 hours, depending on the power of your starter. Dust a cutting board with 1 tablespoon all-purpose flour. Turn the dough out onto the board and knead with floured hands for 30 seconds. Shape into a ball. Line a small bowl with a piece of parchment paper larger than the bowl. Place dough in the bowl and cover with a clean dish towel; let rise until nearly doubled in volume, about 1 1/2 hours. Preheat oven to 450 degrees F (230 degrees C) after dough has been rising for 45 minutes. Place a lidded Dutch oven inside after 25 minutes and heat for 20 minutes. Remove hot Dutch oven from the oven using oven mitts. Place dough carefully inside, lifting it up with the parchment paper. Cut any parchment paper that is peeking out of the Dutch oven with kitchen shears. 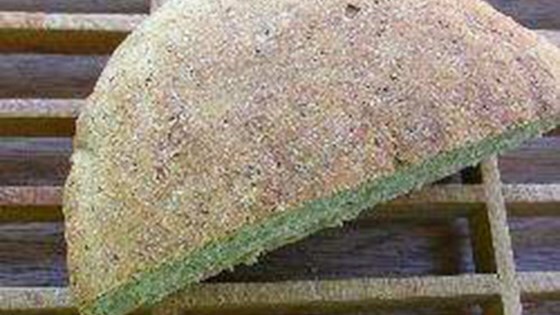 Cut a cross into the top of the bread using a sharp knife and dust with remaining 1 teaspoon flour. Cover with the hot lid. Bake bread in the preheated oven for 30 minutes. Remove the lid and continue baking until top is golden brown, about 10 minutes. Lift bread out of the Dutch oven with the parchment paper using oven mitts and tap the bottom; if it sounds hollow, bread is done. Let cool for at least 1 hour on a wire rack. If your sourdough starter is rather weak, you might need 3 tablespoons of fed sourdough starter.